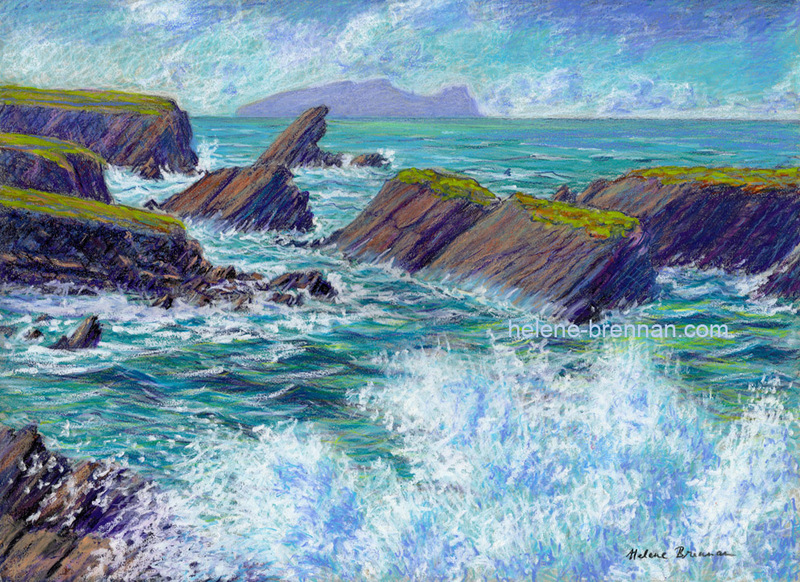 A lively sea at this beautiful spot - Cuas na nEighe, close to Clogher Beach, Ballyferriter. The Blasket Island of Inis Tuaisceart (Sleeping Giant) lies in the distance. Some of the most stunning scenery in the area can be seen here, combined with the most gloriously moody and animated seas. ORIGINAL SOLD. Limited edition prints available #10. Unframed. Can be shipped easily. Framing available if picture can be collected. Please enquire.